Planning a wedding is a stressful and time consuming endeavour. You need a venue, decorations, entertainment and food. When you’re catering to a huge number of guests, picking the right food is not easy. You need to cater to different special diets, different tastes and preferences, and potentially different ages too. Here’s a quick look at how to pick the best wedding food. If you’re having a full wedding day, then you will need a main meal for your guests, as well as snacks and treats. How you arrange the main meal will depend on your budget and the scale of the wedding. For a small, intimate wedding you might get away with a single choice, but if you’re having a bigger party then you might want to offer a few different choices for your main course, or even a buffet. When it comes to snacks, comfort food is a good choice. Whether that’s sliders or other finger food, or a sweet trolley so the guests can graze or make up a bag of sweets to take home, your guests will have fun with tasty treats. How Much Does Wedding Food Cost? Costs can vary massively depending on the vendor that you use. The ‘average’ UK wedding costs around £30,000 according to research published by Brides Magazine, and you can expect to spend nearly £4,000 on catering if you’re hosting a day-long wedding with a separate reception. You don’t have to spend that much though, and there are ways that you can cut costs even if you are planning on having a big wedding. It takes a bit of time and thought to find the best ways to reduce costs without visibly skimping, though. For example, don’t make the mistake of assuming that a buffet will always be cheaper than a sit down meal. While that is often true if you’re getting the hotel you’re staying at to cater the wedding, it isn’t always the case. With external caterers, you might find that you would save money by opting for the sit-down meal. If you’re allowing children at your wedding, then consider offering a dedicated kid’s menu instead of having the kids be served a smaller version of the adult meal. Kids in particular will really appreciate sweet trolleys, especially with pick and mix style offerings. Serve a selection of canapés instead of a full starter. Most people feel over-fed at weddings anyway. If you’re offering alcohol, limit it to a few luxurious drinks instead of a full bar. Opt for a low service option – barbecues, street food, or self-carve, instead of full table service. It’s the food people remember, not the wait staff. To an extent, the amount of money that you need to spend will be dictated by the size of the wedding. If you’re trying to feed more than 100 people then it’s going to cost a lot of money. If you’re hosting a wedding that is limited to your closest friends and family then you will be able to offer a much higher quality of food for a much lower price. Only you can decide whether it makes more sense to trim the guest list or try to save money on other areas – but the venue an food are some of the most expensive single purchases when planning a wedding. Most people don’t get a lot of experience with formal dining these days, so navigating table service can be tricky. The decorations you choose for the dining area are one area where you can have a big impact without spending a lot of money. Consider using floral boquets as table centrepieces – but make sure that they’re flowers that don’t have a strong aroma that might interfere with your guest’s enjoyment of the food. Use colourful garnishes around finger food, snacks, and buffet pieces to make them look even more appetizing. Lighting is important too. Dark mood lighting is good for an evening meal, and there are ways to light the dining area other than the standard chandeliers. Consider using stick candles, floating candles, twinkle lights, or even hanging rope lights around the tables. A good wedding photographer is an essential part of any wedding plan, but it’s great to have some extra shots of your own as well. The photographer can’t be everywhere, and who knows what cute, funny or memorable moment you might capture if you take your own camera. If you’re going to a wedding, why not spend a few minutes learning how to take some good photos? It takes a lot of time, practice and specialist equipment to truly become a skilled photographer, but these simple tips will go a long way towards improving your photography skills, and will help even a novice take some stunning shots. Which Camera for Wedding Photography? There’s an old saying that “a bad workman blames his tools”, and while that is true, it’s also true that if you have bad tools you can’t expect to get stunning results. Snapping photos on a camera phone won’t give you the kind of shot that a professional photographer would be able to get. Even an inexpensive ‘point and shoot’ dedicated camera will produce better results than the cameras on many phones. If you want to reliably get good shots in a wide range of lighting conditions (the dim church, bright daylight outside, the party, artificial light in the reception, etc), then you will need a high quality dedicated camera. At the moment, it is hard to beat DSLR cameras for versatility and quality. A DSLR camera is a ‘Digital Single Lens Reflex’ camera. This means it is a digital camera with a viewfinder that shows you exactly what you will see in the photograph. Before the days of digital viewfinders, this was a huge benefit. Today, it’s the other points that make a DSLR a good choice. Compact cameras have a single lens, and you’re limited in terms of how you can zoom and the conditions that you can work in. DSLR cameras have interchangeable lenses, giving you more flexibility. They have bigger sensors so they can get the full benefit of increased megapixel ratings without the issue of “noise” on the photographs, and you access the zoom by turning the lens barrel yourself, instead of by using a dial that triggers a motor. This makes the zoom near instant and more responsive, so you won’t miss out on those ‘in the moment’ shots. Figuring out what lens to use when is one of those things that photographers learn over time. It takes time and study to understand the technical features of different lenses, and practice to figure out which ones you should use when. If you don’t know about focal lengths or exposures, then browsing a catalogue to look for a new lens would be like reading a book in a foreign language. For your first lens, while you’re just learning photography, you would be wise to go for something fairly versatile, like a 50mm f/1.2 – 1.4 lens. These cope well with a wide variety of lighting conditions, and even let you take good photos in low light without a flash, which is why top-quality photographers such as Jasmine Star choose them as their go-to lenses (http://blog.creativelive.com/best-lenses-for-wedding-photography-from-jasmine-star/?utm_variation=2DoJCp). Once you’re ready to branch out and do soft-focus shots, dreamy scenes and macro shots of the ring, you’ll want to add a few more lenses to your collection. You can get an idea of the options that are available to you here (https://www.slrlounge.com/6-must-have-lenses-for-wedding-photography/). Lenses can be expensive, so you probably don’t want to spend a lot of money on a huge collection of them, but a day to day lens, one for wide-angle photography and one for macro shots would be a good goal. You can expand your kit as you go, based on your interests. So if you are interested in sport photography then you might want to add a specialist lens for that later, for example. Before the wedding, it’s a good idea to figure out what you’re going to want to take photos of. Remember, firstly, that you’re a guest so you don’t need to be running around and trying to capture everything. Be bold, and be willing to take the odd shot here and there during the formal bits, but don’t get in the way or interfere with the ceremony. If you can move around without interfering with the experience of the other guests, then do so. There’s no need to just stand at the back and take shots straight on. Be willing to go to the side or even up to a balcony above the action if you can do so. That’s where the really interesting shots will come from. But remember, you’re not there to work the wedding. You’re there as a guest, so enjoy the moment and have fun! There are many things in life that we all enjoy, but few things beat great music and your favourite sweets! Here at Sweet Trolley Hire we provide people’s sweets for weddings and parties, so we’re constantly meeting the two in the middle. Well, we thought we’d go one further and recreate some of the most famous and iconic album covers of all time using sweets – skittles to be specific. A quick search of ‘the most iconic album covers of all time’ will show you that most of these album covers are considered to be some of the best of all time. Not only that, but these albums are truly great. Love him or hate him, you can’t ignore him. Released in 2004 The College Dropout announced Kanye to the world as a solo artist and is highly considered to be one of the best hip hop albums of all time. The album cover from Pink Floyd’s 1973 classic is widely considered to be one of the best album covers ever. We couldn’t consider recreating the most iconic album covers without considering this one. An artist in his own right, David Bowie was a visionary and one of the hardest working musicians in modern music history, releasing a staggering 25 studio albums. Aladdin Sane being the sixth, and arguably, one of the best, this 1973 beauty had to make our list. Being released in March 2017, Ed Sheeran’s ÷ (divide) probably can’t be considered as a ‘great’ just yet, however, this album broke several records on its way to chart topping success. There’s no denying the simplistic nature of this album, and his previous X (multiply) album, are both pretty striking. Described as ‘art’ by TIME, the Random Access Memories album cover is a wonderfully simple and memorable album cover from Daft Punk’s 2013 record. We’ve all tried to recreate this album cover when playing with various photo studio software, but Blur did it first back in 2000. 17 years on we thought we’d give it the sweet treatment with out Skittles album covers. Much like The Dark Side of the Moon, Andy Warhol’s design for the Velvet Underground & Nico’s self-titled 1967 album is widely regarded as one of the best album covers of all time. We couldn’t talk about iconic album covers and mention this one. Why include Ed Sheeran twice? Well, we made this one before Ed released his latest album and we couldn’t overlook his latest record, but we didn’t want this to go to waste, so here it is. If you’ve not figured quite yet, myself and Rob, are based in Nottingham and we supply our sweet cart for weddings all over the city, but where are the best wedding venues in Nottingham? Having got married recently, I know that finding a venue can be a bit tricky at times, so I thought I’d gather a few of best wedding venues in Nottingham all in one place so you know where to look when you’re trying to find the perfect wedding venue. I’ve split the wedding venues into categories of the most popular types; hotels, stately homes and barn style weddings. There are many hotel wedding venues in Nottingham, so I’ve tried to narrow it down to a few of the best choices. The Old Vicarage is a stunning venue with beautiful grounds. The hotel is family run, so you get a much more personalised, tailored service when it comes to planning your day. Along with a dedicated wedding planner, you receive exclusive use of the hotel and grounds including the gardens and can also have access to the bandstand. Located just off the M1, Eastwood Hall is perfectly located and easy to get to. The venue has a stunning, long drive way up to the hotel, perfect for photos and gives a grande entrance too making a great first impression for guests. The hotel also has a state-of-the-art gym and sauna, so not only can your guests stay at the venue, but they really can make a good break of coming to your wedding! With various suites to accommodate for a range of wedding types and party sizes, the Bestwood Lodge hotel in Arnold is a great option. With beautiful gardens and plenty of greenery for your guests to enjoy, the hotel grounds look stunning and offer plenty of photo opportunities. Not the most ‘traditional’ looking hotel, the Dakota is a new hotel located just off junction 27 of the M1, so is very easy to get to for guests. The hotel has only been open for a few years, so is modern and very well presented with everything still in great condition. With plenty of rooms on offer, your guests can very easily stay over and enjoy the wonderful bar area with open fire in the morning. 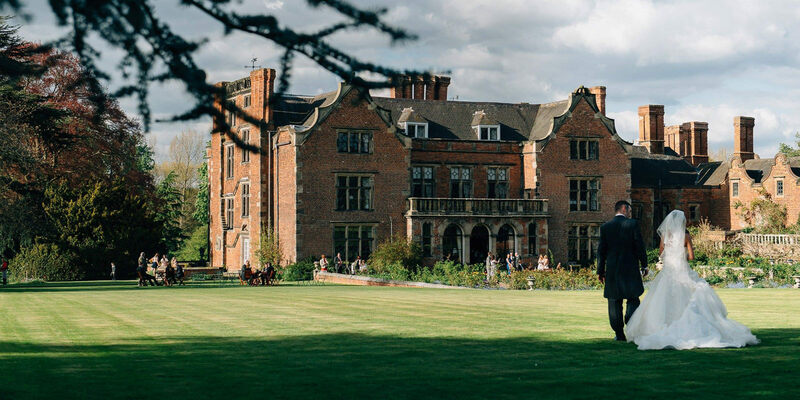 Offering beautiful, pictures grounds and traditional styling, Kelham House is a beautiful wedding venue located in Newark-on-Trent. With three rooms to choose from they can accommodate varying party sizes from small weddings to parties of up to 150 people. Winning the East Midlands Romantic Wedding Venue of the Year award for 2016, Trumpton Hall is a must-see if you’re looking for a traditional, stately home wedding venue. With a choice of rooms and even a lakeside pavilion, this is a great option to make your ideal wedding day become a reality. Head over to their site and download a wedding brochure to find more details. With the option of an indoor or outdoor ceremony, as well as offering a bespoke service tailored to your wedding, East Bridgeford Hill is are great option for a Nottingham wedding venue. There is a selection of five different rooms, all of which offer different styles and sizes, so you can find the one that best fits your needs. The grounds and building itself are all beautifully styled and maintained offering stunning backdrop for photos and videos. Being able to cater for large wedding parties of up to 500 people makes Colwick Hall a must-consider venue for larger wedding and bridal parties with a large families. Offering a classic image and beautiful grounds, Colwick Hall is everything many brides dream of. Although they have a large capacity, they offer reduced number packages for smaller weddings and even offer the option of a firework display at the end of the night. Swancar Farm Country House is a stunning venue, and one of the most popular wedding venues in Nottingham, that offers a rustic style and decor to your wedding. The ground and exterior offer grand welcome with the interior giving you a more vintage and rural theme. With a choice of several rooms and settings, you have plenty of options for different party sizes, different options and have the option to hold the ceremony at the venue also. When you’re putting together the tables for your wedding reception, it isn’t quite enough to simply find the right number of chairs, and ensure that there’s enough food and drink to go around; you’ll also need a few decorative flourishes to indicate to everyone that this isn’t any ordinary sit-down meal. These decorative touches might include showy place mats and name tags, all in a style that’s in keeping with the rest of your wedding decorations. But typically the largest and most important decoration of all will be the one in the centre of the table: the centrepiece. A table centrepiece can be shop-bought, but if you’re feeling creative, you can make one yourself for that extra personal touch. Let’s examine some popular choices of ideas for wedding table centrepieces. Of course, as well as looking fantastic, your tables will need to indicate to your guests where they should sit. For this reason, you’ll need to assign numbers to each of your tables. But this number can be decorative as well as functional. Why not carve your numbers from wood, or inscribe them onto miniature chalkboards? There are many different ways to get the message across, and so coming up with a creative one shouldn’t be too taxing – but if you’re in need of inspiration, then be sure to take a look through this list from confetti daydreams. Birdcages are popular decorative items at weddings. Until just a few decades ago, birdcages were also popular for actually caging birds, and all manner of beautiful and exotic shapes were crafted for them. Most people now prefer free-roaming cats and dogs to confined budgerigars, but the classic dome-shaped design lives on as a wedding table centrepiece. Traditionally, they’re white, which fits nicely with popular wedding colours, and they make an excellent holder for tea-lights and candles. If you’re looking to inject a little bit of colour into your wedding tables, then a set of flowers might be exactly what’s called for. Match them up with the other flowers you’re using at your wedding, and you’ll have a nice consistent theme running through the entire day. If you feel like a set of flowers would dominate the table, then you might instead scatter a few petals across the centre. You might achieve the same job with confetti. If you’d like to save money, you can simply re-use the flowers from the ceremony – just get everything decorated while no-one’s looking. If you’re looking to show appreciation for your guests, then a few choice gifts might be just the way to do it. If we’re talking about a centrepiece, then you’ll need something that isn’t going to be fought over, but which will still be fun at the table. A pyramid of small jars, each containing sweet stuff, might be what’s called for – your guests will be able to keep their jars when they’re finished! If you’re looking for party favours to give to your wedding guests, then you’ll find few better candidates than sweets. Your guests will love them – and during a wedding, they’ll feel more justified in indulging their collective sweet tooth. After all, occasions don’t come much more special than this one! Let’s take a look at more reasons why sweets can be perfect wedding favours. Where did wedding favours come from? Wedding favours are thought to have first come about in the form of a ‘bomboniere’, a small decorative trinket box containing sugar cubes, used by European aristocrats to demonstrate to their friends that they were wealthy enough to afford sugar. By the thirteenth century, however, sugar had become more affordable, and so almonds began to be used instead. It wasn’t long after this that some exceeding clever person put the two together, and the tradition of presenting guests with sugared almonds came to be. It was thought that the bitterness of a raw almond and the sweetness of sugar would represent the richer-for-poorer nature of the marriage to come – though modern couples tend to be a little more optimistic, and opt for entirely sweet things. Which sweets to put in wedding favours? If you’re putting together a selection of sweets for your wedding party favours, then you’ll want to choose the sort that your guests will enjoy eating. 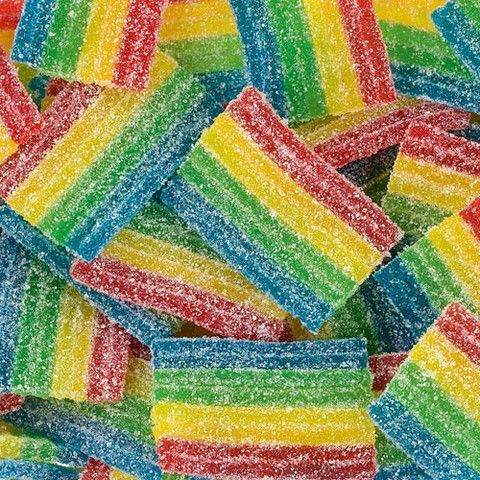 Fortunately, one of the key merits of putting out a lot of small sweets is that you’ll be able to provide a diversity of flavours to suit everybody. That way, you won’t need to appeal to the lowest common denominator, and have the minority of people who don’t like chocolate miss out. If your guests have quite specific tastes, then you can always allow them to choose their own sweets – that way no-one will be disappointed! As well as being delicious, sweets can also be decorative. They can help to remind your guests whose wedding it is that they’re celebrating. So, if the groom is a keen golfer, we might have sweets shaped like golf balls, and if the bride is a dentist, we might instead enjoy miniature teeth. These sort of minor personal touches are what will help make your wedding distinct from every other wedding your guests have ever attended. Cheap wedding favours often run the risk of seeming a little on the stingy side. But many couples will look to economise on their wedding favours. This is entirely understandable; if you’re going to buy small gifts for hundreds of people, then the costs can quickly escalate. But one needn’t spend an enormous amount in order to achieve great results – your guests won’t come to your wedding in order to receive gifts, but to celebrate your impending marriage. For this reason, novel party favours like sweet carts provide a way to repay your guests without making cutbacks elsewhere in your budget. Like every other element of your wedding, your party favours should offer a little piece of your personality. Not just to help keep the whole event thematically consistent, but because a wedding should be a celebration of two people and their quirks. Naturally, this personalisation might be done to the sweets themselves – but you might also make changes to the way they’re packaged. Personalise each bag with of sweets with the significant details of the day itself, or the couple’s initials. By treating your wedding favours to the same degree of personalisation as you did your invitations and other wedding stationary, you’ll be able to keep your day distinctive and memorable for everyone attending it. And isn’t that the point of a wedding favour in the first place?